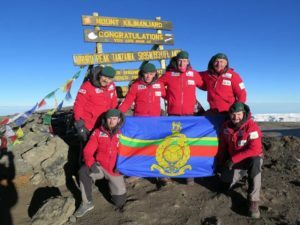 Danny is part of the 65 Degrees North which successfully summited Kilimanjaro in Feb 2016. Follow 65 Degrees North Facebook page to follow how Danny and many other soldiers live with PTSD. It’s been a few weeks and I have spent some time reflecting on the Kilimanjaro expedition. I’m not brilliant at explaining things as I tend to woffle so I am going to try and explain something via the use of a metaphor. Sorry in advance for the woffle. Life is complicated and we often spend time looking back and reminiscing at things which have happened. This can be both a positive and a negative. I often did / do this in a negative way, beating myself up about things I should have done or did and got it wrong. 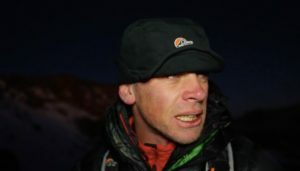 This exped’ was beyond any words I can use to really explain how hoofing it was. For me personally it was a huge, huge help to be away and with people of such an amazing calibre. To achieve something really quite challenging, as a team! To use the metaphor above, we drive through life forwards, but occasionally we look in the rear view mirror to check what is behind us. It’s good to reflect and to see where we have come from. It’s good to reflect on the distance we have travelled. I am so grateful to have been part of this exped’ and to have that as a reflection in my rear view mirror! I have learnt somethings, it has helped me to develop and refocus and also, and very importantly, I have met amazing people (all of you!) and shared some fantastic experiences with you all. I am hoping that you all remain in the car with me as we travel down the road of life….I understand if you want to get out now, my banter is rubbish and I’m not a very good drunk. You are all very, very brilliant people, thank you so much for allowing me to share in this with you and I am so proud to have stood on top of the worlds tallest free standing mounting with you all. Such an outstanding achievement. Congratulations. I would like to suggest, as I believe some of us have already spoken about, we all meet and stay in touch maybe to move forward and to complete challenges in the UK such as the 3 peaks (national or Welsh, or both) to continue to raise funds for RMC. I will let you know when I’m in Wales next and if anyone is around to get out in the hills, or just for a coffee it would be great to stay in touch. Thank you all for your time, support, the memories and the experiences. Thank you all so very, very much! Finally, Jimmy Hendrix once said, “some people are so poor, all they have is money”. I don’t have a lot of that, but I’m the richest guy in the world with experiences from that expedition.